The Estonian Business Angels Network (EstBAN) is launching the first Nordic Angel Program in cooperation with Finnish, Danish, Norwegian and Nordic Business Angels Networks. NAP is a three-month business angel training and investment program led by experienced startup investors. The program links with the leading startup events in the New Nordics, culminating in an investment selected by the local group. 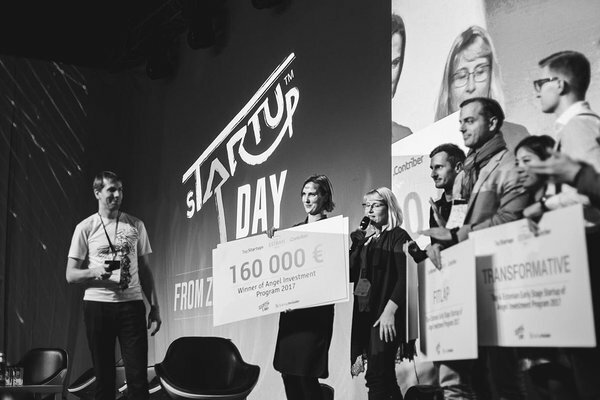 NAP is a micro-fund type of co-investment syndicate where angel investors will participate with minimum tickets of €5000 and invest into 1-2 startups. Rein Lemberpuu, EstBAN's President says that the program offers the best opportunity to start with venture capital investments. "We are looking for new business angels to join our program – there has never been a better time than now to start with investing. Experienced angel investors have great knowledge on how to evaluate startups and separate the wheat from the chaff. This way new business angels can invest with skilled business angels and thus reduce the risk of inexperience," he said. The program offers practical training that covers legal subtleties, evaluation of a start-up's value and other important technical questions in detail. "The point is for experienced investors to invest with new business angels who otherwise wouldn't be able to select the best investment object on their own. This is a way to reduce risk," said Lemberpuu. The program also offers a study trip, where participants will be able to create new contacts with other angel investors from the Nordics. To participate, the investor must contribute an investment of at least €5000, which may be multiplied if desired, participation fee €250 for legal and management cost will be added. Join the NAP Info Seminar on 5th of March, 15.00 at Erinevate Tubade Klubi - sign up HERE! The Nordic Angel Program is looking for early-stage startups from Estonia and abroad. Applications can be submitted until 1 April on the web pages of EstBAN and Latitude59. Fifteen will be chosen to present their company to the business angels. Out of the fifteen, four will be chosen to present their company on the main stage of the international startup conference, Latitude59. One company will be chosen out of the four through joint evaluation, which will receive up to €250,000 as a syndicated investment. The Estonian Business Angels Network (EstBAN) is an umbrella organisation for private investors with an aim to develop the entrepreneurial environment and the volume of angel investments. Today, EstBAN has around 120 business angel members who analyse startups with the help of the network and make new joint investments. EstBAN welcomes all those interested who are willing to contribute time and money to an innovative early stage company with great potential for growth yet not without risks. EstBAN's sponsors include Eesti Ekspress, Telia, SmartCap, Hedman Partners, Eversheds Ots & Co, EY Estonia, Tallinn Science Park Tehnopol and Tallinn Business Incubators, SpringHUB and Contriber. This project has received funding from the European Union’s Horizon 2020 research and innovation programme under a grant.